In the spirit of a holiday that celebrates the sweet things in life, we thought it was only fitting to spotlight our sweet spot: the science of nutritional glycobiology, or as it is called: The Sweet Language of Life. Glucose**, Fucose, Mannose, Galactose**, Xylose, N-acetylglucosamine, N-acetylgalactosamine, and N-acetylneuraminic. – Harper’s Biochemistry, 1996. Ed. Cell surface sugar structures called glycoproteins are necessary for the proper recognition and functioning of many cells. When sugars are missing from the glycoprotein structures, cells cannot function normally. Immune system cells read the cell surface sugar structures on other cells to determine if they’re healthy, need repair or need to be destroyed. Likewise, when sugars are missing from glycoproteins on cells, immune system cells may not know whether to ignore, attack or protect them. 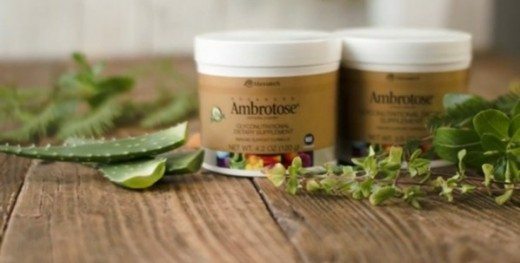 Enter Mannatech’s scientific breakthrough, Ambrotose® products. They are the first dietary supplements formulated to provide standardized levels of plant-sourced glyconutrients (sugars intended to support cellular communication). So Where Do Mannatech’s Sugars Come From? A key component of Ambrotose products is stabilized acetylated mannans from aloe vera gel. Other healthful plants—brown algae and plant gums—contain saccharides that are much less common in our modern diets than they were in the past. Find out more about Ambrotose products and all our other amazing supplements right here! 1Committee on Assessing the Importance and Impact of Glycomics and Glycosciences. Transforming Glycoscience: A Roadmap for the Future. The National Academies Press: 2012. 2Benefits vary by product. Mannatech funded some of these studies and donated the product for all of them. **Only two commonly found in the modern diet. Powered by Ambrotose™ DVD! Watch it Now! Ūth™ Skin Crème iPhone App Is Here!